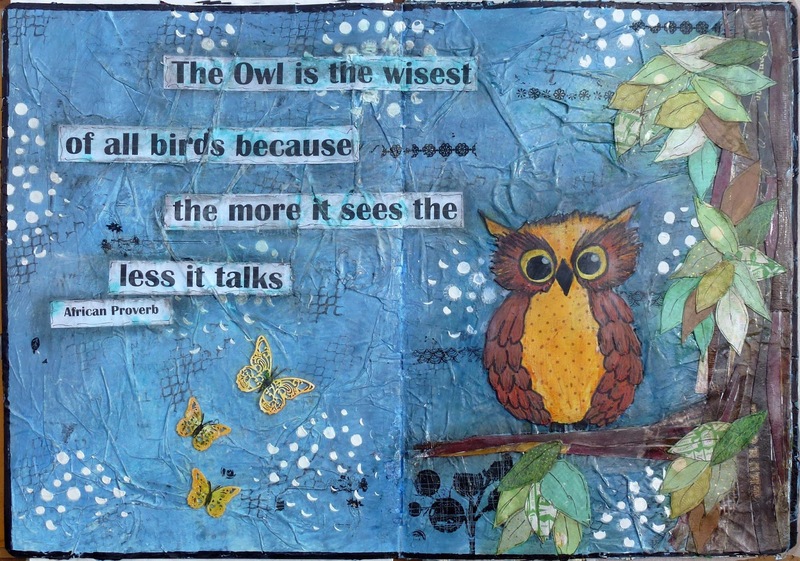 I started this page ages and ages ago in my large Ranger journal, and when I went back to it a couple of days ago I had lost the idea that I was originally working with so I have ad-libbed here but stuck with the Owl and the tree. I had created the tree and the owl in outline form previously so I had to add detail and finish the page off. The background is tissue paper, acrylic paints, stamping, rub-ons and modelling paste/stencil. I have cut pieces of assorted brown papers to form the tree and green patterned paper to create the leaves. 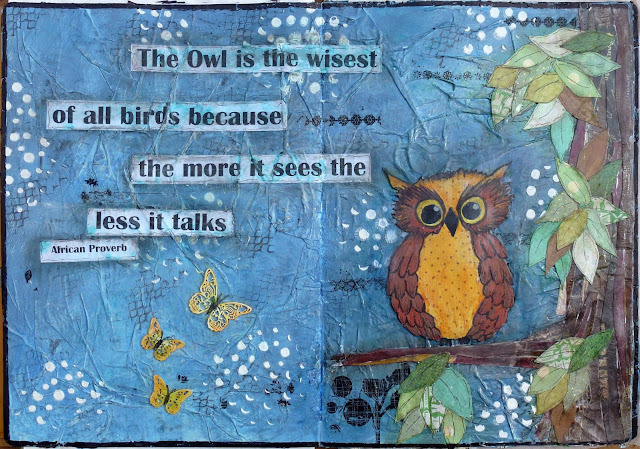 The owl was cut out of one piece of patterned paper and then the detail was added using acrylic paint, Faber-Castell PITT pens, sharpie pen and a Sketch Plan pigment ink pen for the fine detail on the whole page. The butterflies are Imaginarium Chipboard with a coat of Gesso then coloured with Distress Inks.